How much longer are we going to let the left-wing wingnuts savage our conservative women with sexual attacks with intent to destroy? John “Sly” Sylvester, a left-wing radio host who operates out of Madison, WI, accused Wisconsin Lt. Governor Kleefisch of performing sexual acts on numerous men, mocks her cancer, and attacks her children. I want this to stop! This is the same thing that was done to Sarah Palin. These lowlifes attack conservative women, their kids and attempt to destroy them and then laugh all the way to their paychecks provided by their sponsors. Gov. Scott Walker and Kleefisch were targeted for recall following passage last year of a law they backed that effectively ended collective bargaining powers for public workers. Four Republican state senators are also being targeted. AND NOT ONE PEEP ABOUT IT FROM THE MSM! Where’s Al Sharpton and Jesse? Seven black boys beat up one hispanic boy in California. KATU says the seven boys, ages 13 to 16, attacked a 15-year-old Hispanic boy while he was walking home from school. Where’s the president? Where’s Al Sharpton and Jesse Jackson? You know where they are! Hiding like scaredy girls, hoping you won’t notice this story. UBC Journalism News Service has an eye-opening article showing earthquake activity is “…a constant feature of British Columbia.” There is one interactive map that shows all since 1700 and this map that shows the eologic forces at work in the area. There does seem to be quite an increase in quake activity since 1985! BTW, one thought, Oregon hasn’t experienced many quakes and leads me to believe that the subduction zone is locked and could unleash a big quake. Time to work in the garden. I saw this poem posted on a poetry post at Margie’s home and wanted to share it. I think Spike Lee and Roseanne Barr should be prosecuted for trying to incite a riot or murder by Tweeting the home address of George Zimmerman’s parents. In the case of Spike Lee he Tweeted a wrong address and put an elderly couple’s life in jeopardy. Barr Tweeted to 110,000 followers the real address of Zimmerman’s parents and then took it down when she found out this was not public information. These people have leaped to a conclusion and could get someone killed. What is wrong with the world? 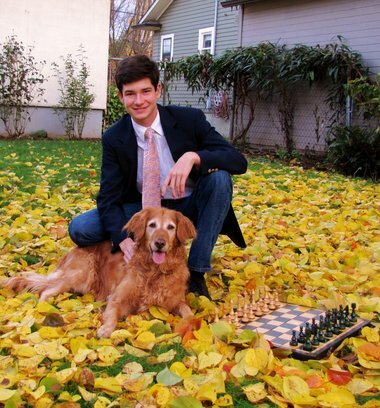 John is 17 and is as good looking as his father, Craig, who I’ve known for years walking our dogs at Grant High Park.Â His dog Suzie, loves to chase a tennis ball in all kinds of weather and never tires. Everything, I’ve seen and heard about John Laurie since he was ten or younger, is that he’s a great young man and really, anyone who writes poetry can’t be bad. Congratulations, I wish you well in the competition and in all the years ahead. Nuclear engineer Arnie Gundersen took 5 random soil samples in Tokyo recently, and found that all 5 were so radioactive that they would be considered radioactive waste in the United States, which would have to be specially disposed of at a facility in Texas.